Are Nurses stuck in Payday Loan trap? It’s thought that over 5% of nurses in the UK have taken out a payday loan. After years of frozen wages, times are hard for the people working everyday in our hospitals. The Royal College of Nursing surveyed over 7000 nurses on their finances this year and the shocking truth emerged. While many resorted to borrowing from family or friends, 1 in 20 took out a payday loan. 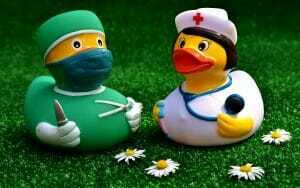 Payday loans for Nurses can quickly become a problem if used for the wrong reason. While payday loans from a direct lender can be a great option, they aren’t always suitable. In a profession where hours can be uncertain, you have to be 100% sure you can meet the payment on your next payday without running out of cash again. A payday loan is a short term loan which you repay in a single payment. The problem arises when that repayment then leaves you short for the next month. You then need another loan and the spiral begins. Here at LoanPig, we think a short term loan is a better fit for some people. By spreading the repayments over 2 – 12 months, you are less likely to need to borrow again. While it will cost a bit more in interest, it could save in the long run by not leaving you short next month. Overdraft fees and bank charges could easily out weight the savings repaying the loan quickly if you can’t afford it. What’s in the future for Nurses? The RCN survey also found that over 30% of nurses are looking for a new job. That’s nearly a quarter rise in the last decade. Interestingly, many nurses are looking for work outside the NHS. 14% of nurses are looking abroad so it’s clear there are problems in the UK. The most interesting finding of the survey was that 70% of workers in the NHS felt worse off than 5 years ago. The survey also found that part of the problem is that the NHS fails to pay nurses promptly. This has led to the loss of income and subsequent need for payday loans.